Too much control isn't always a good thing. 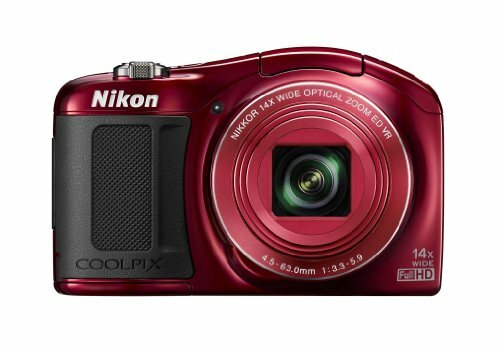 Sometimes you want a camera that enables you to just pick it up and start shooting, and that's exactly what the Nikon Coolpix L620, with 14x optical zoom, is aimed. You just have to trust it and enjoy the ride. In this ample zoom compact you're getting a lot for the modest price, including an 18.1-megapixel sensor. But it's the wide-ranging zoom alone makes this camera tempting, able to deliver from a wide-angle 25mm for those open landscapes through to a 350mm equivalent for those far-away subjects. But is the L620 an enjoyable ride or does it come up short where it matters? Despite the equivalent 25 to 350mm zoom, the maximum available aperture - that controls how much light can enter the camera - stands at a fairly standard f/3.3 at the wide end, and drops down to f/5.9 at the full extent of the zoom. That's pretty good, but nothing special. The lens is extended using the zoom toggle around the shutter button so it's easy to zoom in or out as you command. It also has built-in vibration and motion blur reduction which help to frame-up and snap a steady shot even when zoomed in. The minimum focus distance in regular use is a pedestrian 50cm at wide-angle and 1m with the glass fully extended, but you can cut this to just 1cm from the lens at the widest-angle setting when in macro mode for creative close-ups. At this close-up range the results are impressive. We had some difficulty isolating a particular focal point when the subject was clustered among several other items - berries on a branch, for instance - but when isolated and stood out from its background the L620 would focus up quickly and easily. The depth of field - that blurred background effects - is shallow for a satisfying result, with the point of focus kept tight and the surrounding area quickly softening off. Individual grains of pollen were easy to make out on the stamen of a flower shot from up close. Good work. There is a general paucity of manual control, though, which is unsurprising in a camera of this class. You can't, for example, manually set the aperture or shutter speed so you'll have to rely on the L620's own scene modes if you want to shoot specific subjects like portraits or fast-moving cars. In that respect, the camera isn't really a suitable companion camera to a DSLR for enthusiast users who want something they can throw in a pocket when they're out and about. On the other side of the fence, for inexperienced users or those who want point-and-shoot simplicity from a long-zoom compact, though, it's a great choice. The 18 scene modes encompass all the usual suspects, including fireworks, parties, night portraits, landscapes and so on. The easy panorama mode also requires only that you sweep the camera across the scene rather than lining up multiple discrete shots. Behind the scenes, the menus use the knocked back grey design that Nikon first championed in its 1-series of interchangeable lens cameras. This cuts away all of the clutter seen in the menus employed by many of its competitors for a less threatening and easier to navigate structure overall. Once again, this approach marks out the L620 as something that will appeal to beginners and with which they shouldn't have any difficulty achieving pretty competent results. Nonetheless, once these beginners start to gain more confidence, switching out of Easy Auto Mode to the slightly more flexible - and very similarly-named - Auto Mode does allow for some tweaking, including colour options, such as black and white, sepia, cyanotype and regular colour images, ISO sensitivity from 125-3200 and white balance. You can also tweak the exposure compensation by two stops in either direction in 1/3 EV steps direct from the button cluster on the rear fascia. You'll want to tweak the sensitivity with care, though, as we found that pushing it much beyond very low levels soon started to impact the clarity of our more complex shots. Low ISO settings are a given for scenes in bright sunlight, but as the light dims you'll need to up the ISO in order to get the camera to correctly expose. At ISO 125, intricate subject matter like a pile of straw was cleanly captured. Stepping under tree cover and allowing the L620 to knock up the setting to just ISO 400 while shooting a leafy pathway, though, resulted in far muddier output. When zoomed out so that the image filled our computer monitor the overall impression was good enough - despite some exposure and white balance dissatisfactions - but enlarging it to 100 per cent revealed a general grey texture rather than sharply captured dropped foliage. The effect was less extreme with flat colours, and we could safely increase the sensitivity to ISO 800 with little detrimental impact when shooting a collection of tin cans. It's more of a fine grain. Part of this shows the lens' limitation in resolving fine detail at distance. In many cases there was a noticeable fall-off in the level of focus when comparing the centre and corners of the frame. This isn't entirely uncommon since at the corners the lens has to work harder to bend the incoming light and focus it on the sensor. But nonetheless it does mean that cropping away from the centre in post-production could leave you with a softer image than you had expected. On the whole we used the L620 with all of its settings left at their defaults since that's how we believe it would be employed in the real world, and in these conditions it did do a good job on most occasions to accurately reproduce colours. Both bold tones like the yellow in a dandelion and green on foliage were punchy, whereas overcast skies were generally well handled with accurate variation in the grey to retain interest. However, in more complex shots characterised by sharper contrasts, such as the underside of a tree canopy, there was considerable chromatic aberration - those purple/magenta fringed "shadows" that ellipse over the edges of subject outlines - that are none too good looking. The Nikon Coolpix L620 delivers a good quality build for the cash outlay. The glossy plastic body is encased in rubber at the grip end, with a thumb notch to the rear making it easy to hold steady. The grip is chunky and satisfying partly on account of the fact that, as with other cameras, this is where the L620 stores its batteries, which in this case is a pair of AA cells. That's something of a mixed blessing. On one hand it means you can easily source replacements should they run dry on a city break, and if you're camping without a power hook-up you won't need to worry about being unable to plug in a charger as you can simply throw a couple of spare packs in your rucksack. On the other, though, generic cells often don't perform as well as bespoke li-ion rechargeable batteries designed in concert with the camera itself. Our own experience was good in this instance, with the L620 still showing a full after a fair bit of use. Nikon's own metrics suggest that you should only achieve around 150 shots or 10 minutes of movie recording from regular alkaline cells, though. Which isn't great at all. Ideally, if the L620 makes your shortlist you should therefore also budget for lithium replacements and a companion charger. Not only will you save money - and the environment - but you should also benefit from a performance hike, with stamina then allowing for 660 shots or 1 hour and 25 minutes of video per charge. The L620's best quality movie setting shoots 1080p footage at 25fps, which you can switch up to 50fps interlaced should you prefer. Alternatively, if you prefer quantity to quality you can fit more on your card by trimming the resolution to 720p at 25fps. There's a wind filter option too to keep the sound limited of distortion, and both single and full-time auto focus, depending on your preference. Footage captured at 1080p was detailed and accurate. Colours were a faithful record of the original scenes and it reacted smoothly to changes in the level of available light. However, zooming caused two minor problems: first, the image became defocused for the duration of the lens motion, quickly regaining a good level of focus at the end of the run; second, the sound of the lens motors was very obvious on the audio track, which somewhat spoiled the end result. Our advice would therefore be to pick a level of zoom before you start recording and leave it where it is. The L620 is clearly aimed at two kind of user: photography first-timers, and anyone who wants to point, shoot and not worry. On both fronts it scores well on account of its pared down options and clear menus. The trouble is, entry-level cameras with largely automated settings are increasingly competing with smartphones, which are easy to carry around and, with resolutions averaging around 8-megapixels, in many cases produce results that are good enough for what many will want. You have to ask, then, if there are sufficient extra features here to justify spending £170 on this particular pocket snapper. The answer is yes because the L620 has that 14x optical zoom tucked up its sleeve which puts the camera into a far more versatile position than a smartphone. But the camera still has some potential issues. We're not big fans of AA batteries, and the mid-high ISO sensitivity didn't produce the best of quality in normal shooting conditions, and the control limitations won't suit all. If anything we'd have preferred a lower resolution for the sake of improved results as 18-megapixels is overkill. Nonetheless, the L620 is an inexpensive, no-nonsense camera that performs well in good light and, at £180, isn't one you'll be afraid to take to the pub or a party, or even entrust to your kids. Would you do that with your phone? We thought not. It might not be super-exciting, hence its score, but there's an ample amount on offer for the money here.